We have run quite a few Executive Sourcing projects in the last few months, searching for various CxO roles. While LinkedIn is always a site to search, I have found that many executives have “slim” profiles – or no LinkedIn profiles at all! 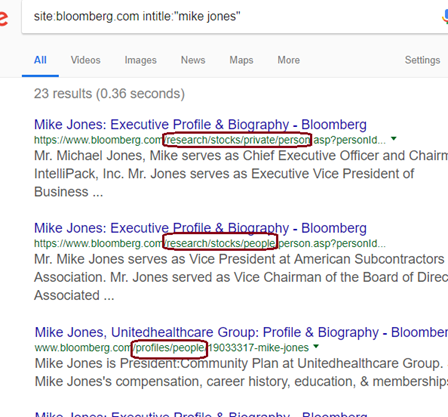 Bloomberg.com has executive bios that we can find by X-Raying on Google. X-Raying can provide excellent results for those who search for executives. We can combine the site: searches with an OR. Here is an example search. With several URLs to search, it makes sense to create a Custom Search Engine, looking in all of the above links. You can create your own or use this one: http://bit.ly/Bloomberg-XRay. 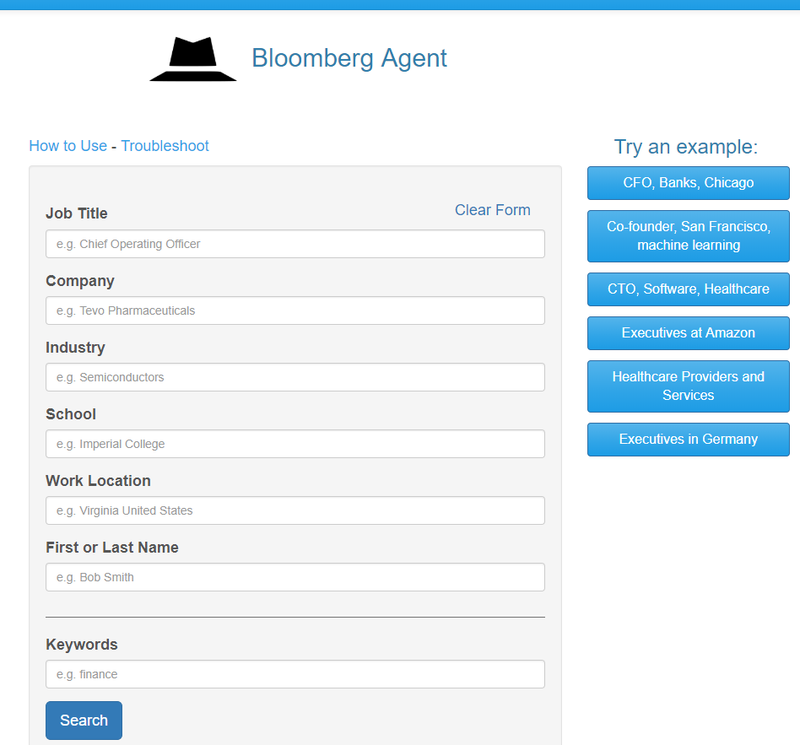 Taking advantage of the profiles’ structure, we have just added a Bloomberg Agent to Social List. (You need a subscription to use the tool).